I spent the year I turned 10 living in total emersion in the remote, rural town of Jacmel, Haiti. It was the Baby Doc era. Ok, it was 1977. On rare occasion, one would see a man with no hand; as children, we were told that was how the political system addressed minor criminal issues, such as theft. It made Haiti stable and safe, although harsh if one crossed certain lines. On an earlier trip, when I was 6, my brothers and I became lost, alone, in Port-au-Prince; people on the street took us by hand and walked us (a fair distance) back to our hotel. Perhaps ironically, given our most common normative assumptions about the relationship between political regime and daily lived experience, Haiti was that safe and welcoming at the time. There was a certain amount of fear of government and police, however, there was little if any fear of crime. The people I knew were fiercely independent. They were expressly libertarian, although they did not use that word to describe it. Many children who came to my classes at school walked, sometimes hours by foot, from remote parts of the mountains to come to school every week-day morning and some Sundays. (You think your grandfather had it bad, they actually did walk hours both ways up-hill!) Albeit at 10 years old, when one is a child, one gets access to certain parts of both childrens and adults lives that parents are not allowed to see. Such access included, say, the insides of thatched houses where children play together but foreign (and some local) adults are not invited. What I saw were people who were poor yes but who preferred to live in a thatched house in the mountains and to grow their own vegetables than to come under the social and political control of city-slickers, for lack of a better word, or the state. 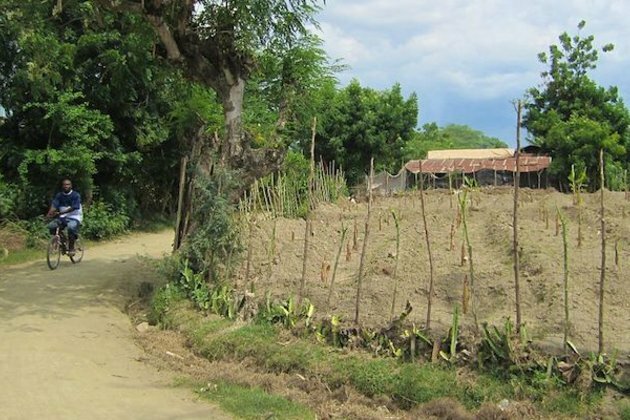 When I lived in Jacmel, it had no paved roads. There was asphalt paving up to the town, and again as one left it, but not within it to any completed degree. In the U.S., I would call it a village, although it did have its own police, open market, post office, and a few (private) schools. Jacmel became famous some decades later for damage it sustained in a 2010 earthquake. It was something of a cultural center, as well as a regional Mardi Gras (Haitians called it Carnival) celebration that was both fun and safe. It did not, at that time, have the fancy beach boardwalk that it has now, although there was a simple, relatively narrow, cement boardwalk right in front of the public beach area where one could pick up fresh coconuts, fish just out of the water, and which was used to dry orange peels and other fruits for the French perfume industry. Poverty makes many of us very uncomfortable in the West. But, poverty is not a crime. We can have streetlights without crushing all autonomy in social formations and cultural systems from rural country sides, be those in rural Haiti, or rural areas west of the Mississippi River. The same holds true for villages and small towns, such as Jacmel. When Samuel Popkin, then, tells us that the moral economy of the peasant village social system is a romanticized myth and that peasants are no more moral than anyone else, I left to wonder why that remains, so much, the debate. While I would not claim a particular natural or normative morality to peasants at all, I think it is safe to say that people adhering to traditional capitalism all over the world, by definition, share in common a desire to keep it that way. As Weber tells us, people adhering to traditional capitalism precisely do not strive to change their economic conditions or status in significant or systematic ways. Said another way, economic or status change is not the center of their lives as it is with modern, rationalized capitalism at its worldly-asceticism roots. Traditional capitalists strive for stasis, stability, and what we might now call the post-materialist time to enjoy it all with their families, themselves characterized by coherence, solidarity, and stability. I do not paint an idyllic picture. There are gains and losses with the two polar approaches. There is also a broad spectrum in-between, for example, people living in towns or cities with still traditional lifestyles, or social formations in parts of Europe (in the remote Alps, parts of Southern Europe, above the Arctic Circle, or among Roma peoples); Asia & the Pacific Islands; Africa; Latin America; and even in the U.S. and Canada (in, say, Arizona or Utah, New Mexico, the Northwest Territories, Manitoba, or Alaska [the state of my birth]). It includes farmers and villagers in Thailand, or in Kansas for that matter, using high-tech in otherwise remote locales. The in-between also includes people visiting their still nomadic relatives (say, in Mongolia) while themselves resident in towns and cities. While we have destroyed most of our formerly nomadic home on the range with enclosures, fortunately, Mongolia and Kyrgyzstan have not done so to the same extent and exhibit some of the same problems (social, economic, and ecological) where enclosure movements exist. We do better to follow something closer to a Cyrus the Great in his pluralist support of and alliance with the Israelites; or, more recently, an Ottoman approach to difference and plurality, not only ethnic and religious but in terms of social formations and economic systems as well (e.g., urban, rural, nomadic, currency, barter, etc.). That is to say, empires have been dealing with issues of pluralism for a very long time with clear winners and losers in terms of long-term policy success. Policies that force people to choose between homogenization, fracture, or exclusion can win for a hundred years or so. Such policies, however, tend to come with significant periods of unrest and warfare. Pluralism (institutional, cultural, social, and economic) has a long history of winning for centuries at a time and of offering extended periods of peace.